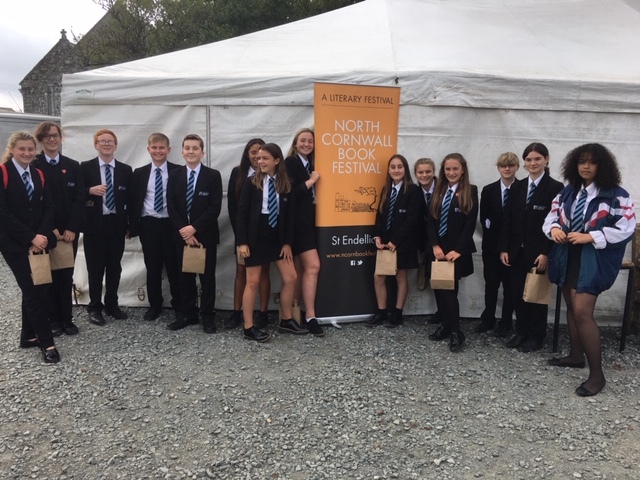 Fourteen Year 9 students have recently had the opportunity to attend the North Cornwall Book Festival in St Endellion where they took part in 3 workshops hosted by established authors. The students learned about becoming an author, publishing their own work on Amazon and how to make their own books and pockets for journals out of scraps of paper amongst other things. Mrs Bertram, Mrs Hodgetts and all of the students thoroughly enjoyed the day.